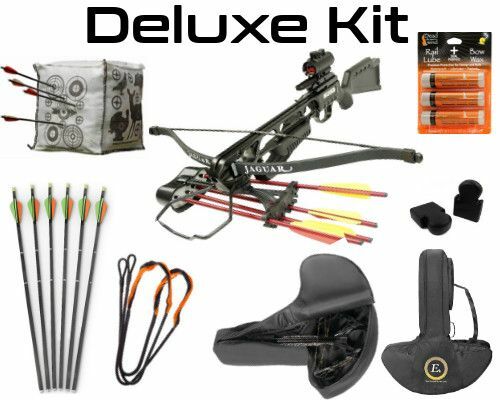 The Jaguar recurve crossbow offers a very cost effective option and a great starter package. 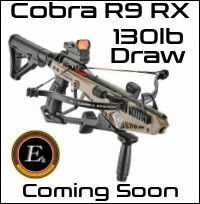 All the power and accuaracy you will need for a fraction of the price of some of it's rivals. This has to be the best value crossbow package available, you will not believe what you get for your money (Scope, Quiver, 3 Bolts, Sling, Rope Cocking Device). 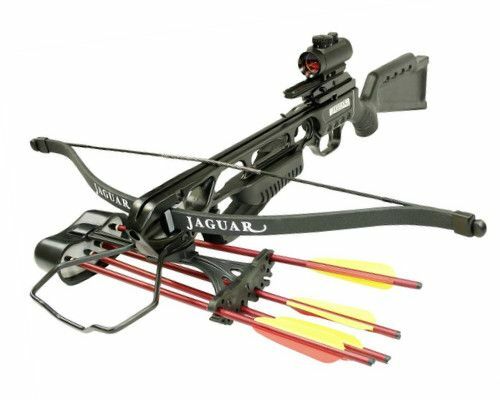 The Jaguar is the worlds biggest selling crossbow and based on the Barnett Wildcat II the Jaguar has been the entry level crossbow for over 10 years providing shooters with an accurate and reliable crossbow at a price that won't break the bank. 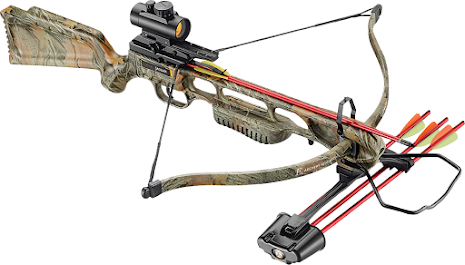 Simple to assemble and with the supplied bow stringer a doddle to string and replace damaged strings. 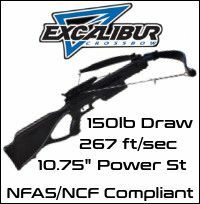 No need to worry about the powerful 175lb draw weight as the included rope cocking device with reduce the effort by at least 50% allowing even the smallest frame shooter to load it with ease. 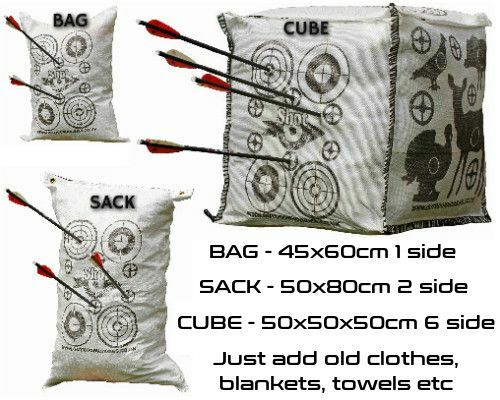 Please allow 2-3 days for delivery (7 days for WOOD version).